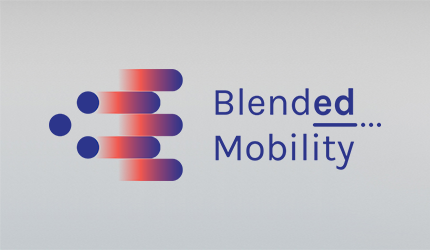 BlendEd Mobility is an international collaboration between 11 universities and university colleges. Each year 2 students of each university are selected to develop an innovative, interdisciplinary project. The students are challenged by a company with a real-life problem. The students meet 2 times physically for a week. In between these 2 meetings they work together in a virtual way from their home university. The students are from different fields of study, such as: Business Development, Management, Electronics, IT & Design. This kind of project offers the students an equivalent to an ERASMUS placement, except for not being away from home for several months. The professional context in which students work offers them technical know-how but also gives them a bunch of practical experience. Working in an international team implies intensive interaction between the students. As such, students acquire valuable communication skills for their own professional career.